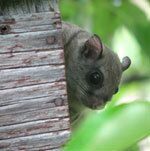 See more information flying squirrels and video of one eating nuts. 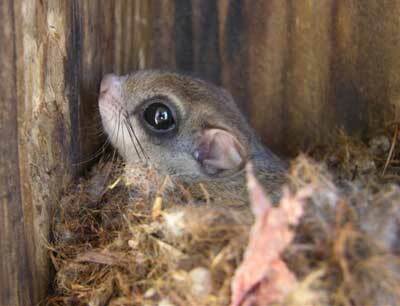 Flying Squirrels have been known to prey on eggs, nestlings and adult birds in boxes. More. Photo on left by Keith Kridler, below by Don Stiles of Canada. 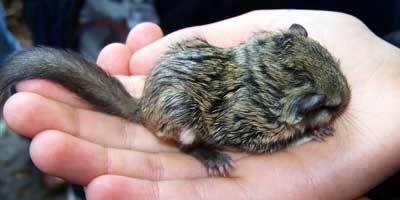 A young flying squirrel (in a child's hand) found in an attic. It did not survive. Photo by Bet Zimmerman. Photo by Keith Kridler. The box is located on along a four lane highway. 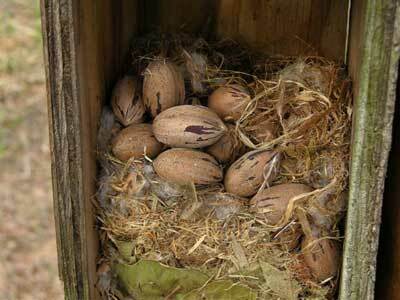 Flying Squirrels will breed in a regular size bluebird nestbox, with up to nine young in one box (2-6 is more typical). 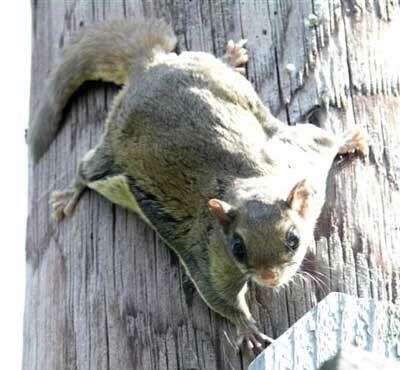 Flying Squirrel nest in two-holed box in TX, mounted on utility pole. Two adults were inside a box with a 4.75x4.75" floor. Material is inside a fiber cup from Jack Finch. It looks like stuffing/batting from bedding. Photo by Keith Kridler. 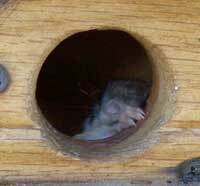 Bluebird nestbox filled up by Flying Squirrels in Texas. Box is located along a four lane highway. Photo by Keith Kridler. Flying Squirrel (probably Southern) nest/roost in one of Linda Violett's two-hole mansions, hanging in a Sugar Maple tree on a grassy green (near forest) in northeastern CT, March 2008. Two adults were in this box. 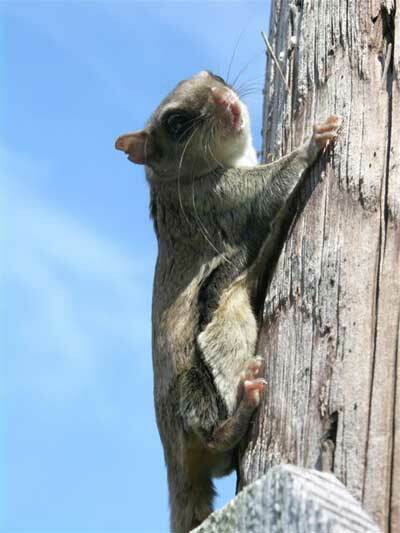 CT has both northern and southern flying squirrels. Photo by Bet Zimmerman. The small photo above is in another of the two-hole mansions. 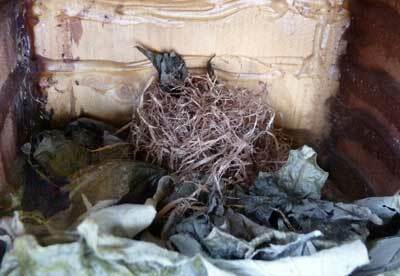 A flying squirrel has occupied this box for two years. 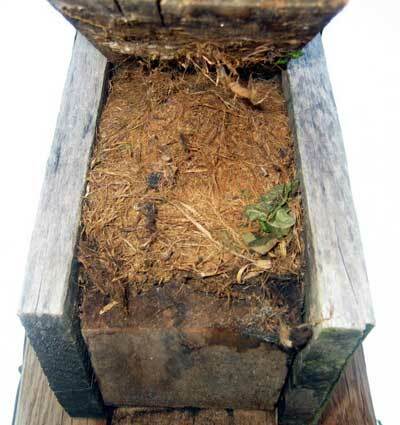 The photo is of the top of the nest - a flying squirrel was underneath the grass at the time. 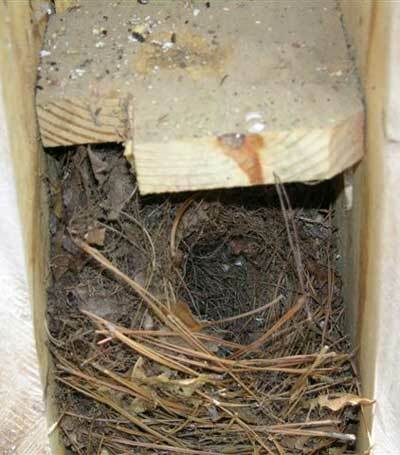 A second Flying Squirrel nest/roost in a two-hole mansion, in 2007. This was early on. Notice tail in lower left hand corner. See 2008 video. So far I have only seen one adult in this box. Photo by Bet Zimmerman. See other photos from this experimental trail. 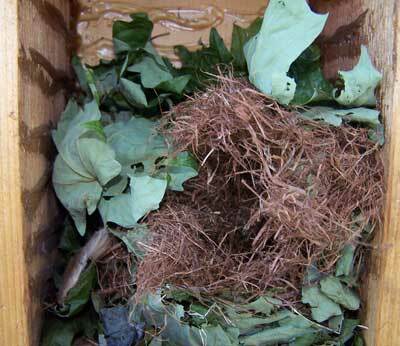 The top of a flying squirrel nest in CT- notice there is no egg cup. 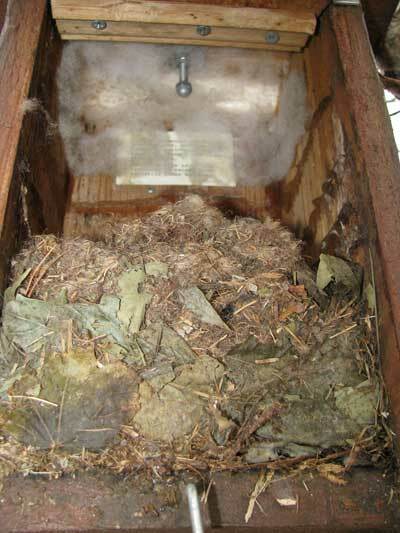 Below - side view of same nest. A sleepy squirrel stuck its head out of this hanging box when I checked it. Zimmerman photo. 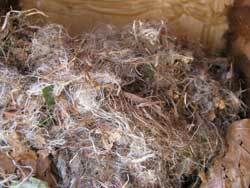 Flying squirrel nest in TX. 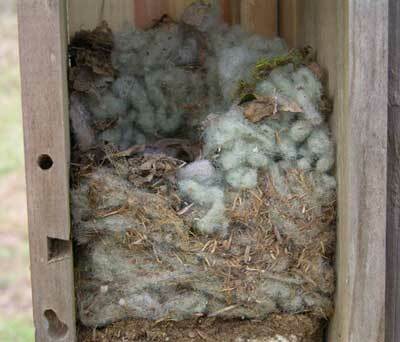 Nestbox photo below. 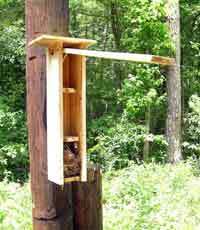 This nestbox is about 32" tall, with a 1 & 9/16th entrance hole. 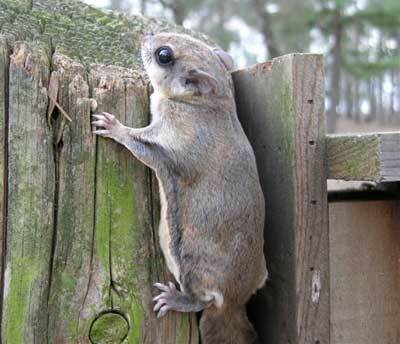 See bio for more info on nextboxes for flying squirrels. Keith Kridler photos. Flying Squirrel (?) 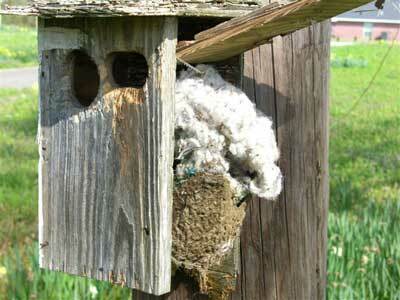 nest in Oak Ridge Tennessee. Photo by Bet Zimmerman. Photo by Keith Kridler of TX.